The death of Mary Travers of the Peter, Paul and Mary trio this week saddened me. Last evening I watched a PBS documentary on them which I had seen before. However, watching it again had a profound effect on me. Tomorrow is International Peace Day and I began to reminisce about the past and all they had accomplished in their lifetimes of social activism. How did they continue this phenomenal work, day after day, year after year without giving up hope for a better world? A world with exquisite beauty much of which is constantly being bombarded by destruction. I am of the view that those of us with fibromyalgia ‘feel things too deeply’ and are unable to let go of the pain of our lives or of the world. Yet I looked into the eyes of those three phenomenal people and others featured in the documentary and have known how they too deeply felt the pain of the social issues that plague the world. How do some ‘let go’ of personal and social trauma, (not to mean they do not care but do not let it seriously affect their health) and others become unable to let it go and suffer? This question can only be answered by more research into the ‘psyche’ and nervous system of the highly sensitive person because until we understand this phenomenon there will be no cure. I have begun training myself to stop watching the news or reading the newspapers. Both sadden me too dramatically. This isn’t easy for a political junkie like me. How did Mary Travers keep up the hope for a better world without succumbing to despair? It seems to me that the world is much worse than it was in the 1960s when there was at least the possibilityof a better world, one without wars, economic and environmental disaster, domestic abuse, racism, homophobia, and with a hint of hope among all of us. The young then were enraged over these social ills. Now, as fibromyalgia becomes even more of an epidemic it seems that it is precipitated by fear and paranoia which have overtaken many of us. We are bombarded with hype and images of death and destruction the moment we turn on the television. I think I will stick with PBS for sane analysis, lovely music, good programming and calm reporting. “If I had a hammer, I’d hammer in the morning, I’d hammer in the evening, All over this land”, sang Peter, Paul and Mary. PEACE. It is possible for us personally andthe world! 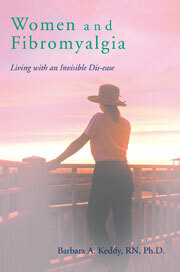 Without it there is no cure for fibromyalgia. Without it we cannot dream of possibilities. 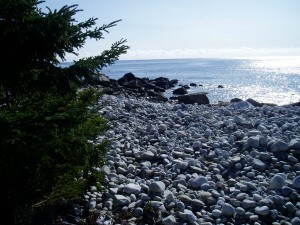 This entry was posted in cure, feeling too deeply, Fibromyalgia, international peace day, mary travers, PBS, social trauma on September 20, 2009 by Barbara Keddy.